There is plenty of powder snow on the slopes of Hokkaido, the main northern island of Japan. We are staying at the Kiroro ski resort, which is located 43km west of the capital city of Sapporo and 28km from the seaside town of Otaru. We really enjoyed the day yesterday, with almost no one on the runs, inspiring views and fresh mountain air. 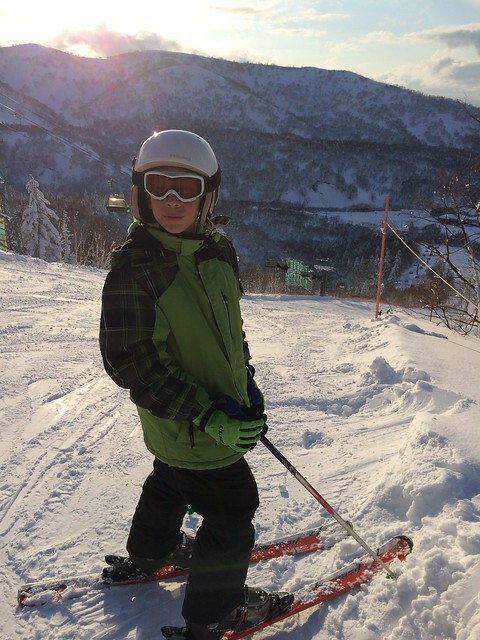 The resort is much less known than Niseko and it is perfect for kids and intermediate skiers. The elevation only goes up to 2,000 meters but there are no snow-making machines in sight. I estimate around a meter of snow on the ground. 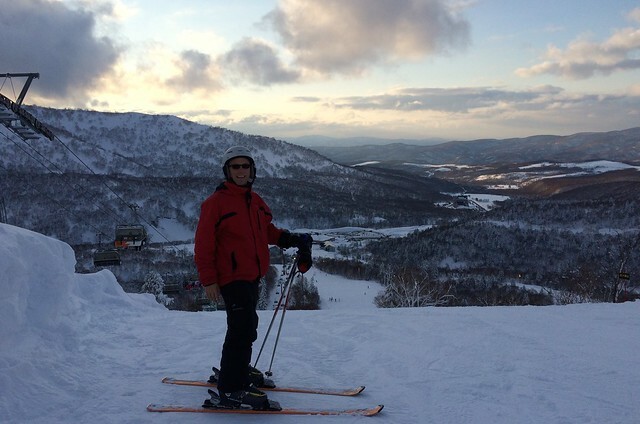 This is our first time in Hokkaido and skiing in Japan. One of my first impressions was the care of the lift operators. They take their job very seriously and are so caring, especially with the children. 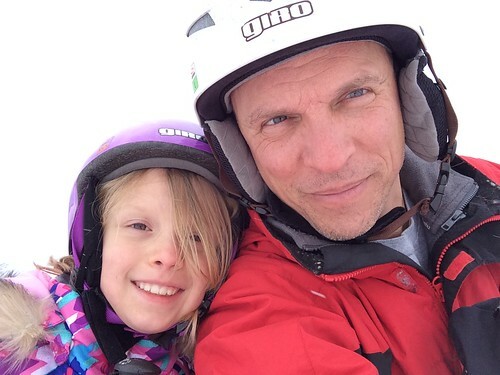 When Ocean dropped her ski on the lift, they went and got it and brought it up the mountain for her. They are also super helpful on entering and exiting the chairs. One of the nice things about living here is that you are always well taken care of. Ollie and Ocean had a great time on the beginners slope. Owen and I went further up the mountain and did the intermediate runs. We are planning on going all the way to the top on day 2. The spring break for Japanese schools doesn’t start for another week so there are no lines waiting for the chairlifts and clear lanes on the runs. My only complaint is a lack of cross country ski trails. Nadia is being a trooper and playing a support role for the kids. We finished off the day with a relaxing onsen here at the hotel. The boys liked the outdoor hot baths and were throwing snowballs at each other. They are getting over not wearing bathing suits and are learning the Japanese customs in public baths. 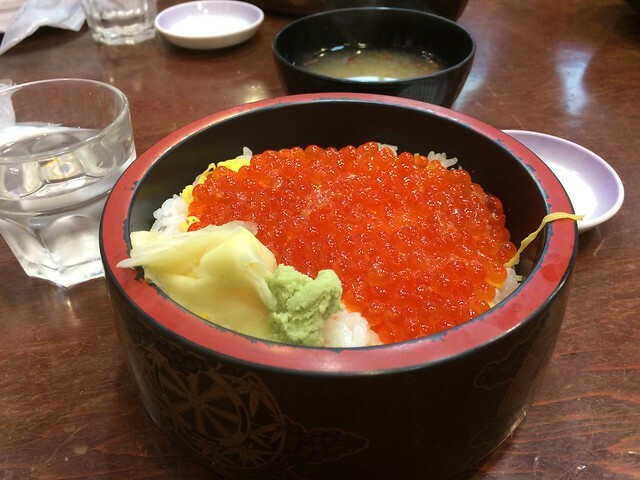 I sampled one of the delicacies of Hokkaido for lunch at the New Chitose airport, salmon roe on rice. Mixing in wasabi/soy sauce and combined with seaweed miso soup,it made for a perfect start to our Hokkaido adventure. Hokkaido is surprisingly not that far north (43 degrees) but gets plenty of snow coming from the westerly winds off the massive Siberian plains. It looks and feels like the Baltic nations with the snow and pine trees. I really want to explore more of the island, which is the size of Ireland. I would like to thank our friends Naomi and Tara for inviting us to go with them. We are having a fabulous holiday.